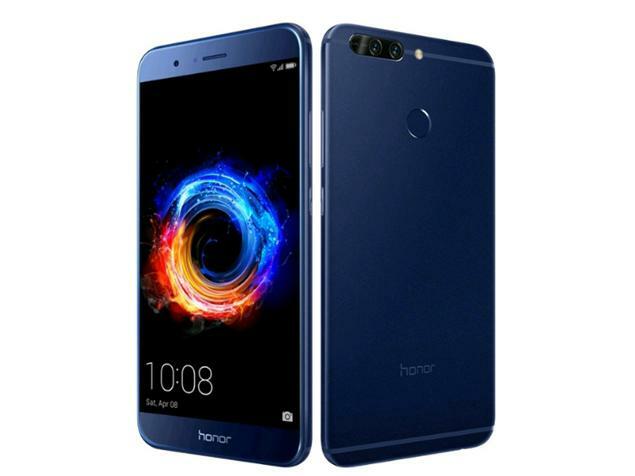 Honor has launched Honor 8 Pro Smartphone in India which comes with 6GB of RAM and 12MP Dual Rear Camera Setup. Honor 8 Pro features a 5.7-inch QHD display with 2560 × 1440 pixels resolution powered by a 2.4GHz octa-core processor coupled with 6GB of RAM and 128GB internal storage.On Camera it has a 12MP dual rear camera with dual-tone LED flash, Laser AF, f/2.2 aperture and 8MP front-facing camera, f/2.0 aperture. Dual SIM device runs on Android 7.0 (Nougat) with EMUI 5.1.Connectivity options include 4G VoLTE, Wi-Fi a/b/g/n/ac (2.4GHz and 5GHz), Bluetooth 4.2, GPS, NFC, USB 2.0 Type-C Packed with a 4000mAh battery with fast charging. It has a metal body design and Fingerprint scanner on the Rear. Honor 8 Pro is priced at Rs 29,999 will go on sale from 10th July at 6 PM via Amazon India which is direct comparator to OnePlus 5. Open sale on Amazon will begin July 13th. It also comes with 45GB free data for Vodafone customers for 5 months.